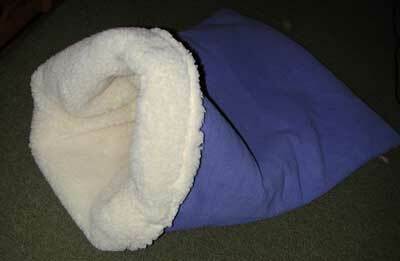 The Pita Bed - a Sleeping Bag, Snuggle and Burrow Bed for Dogs! Lucy playing turtle in the pita bed - "can I save my place in the pita bed and still watch what everyone else is doing?" 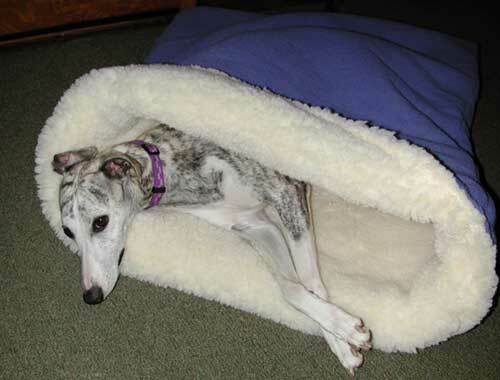 Our high quality Pita Beds are super soft, durable, and long-wearing. They consist of an inside layer of thick polyester lambskin with an outside layer of fleece. All beds are machine washable; dry on line or in machine dryer on low or gentle. Make a dog happy! 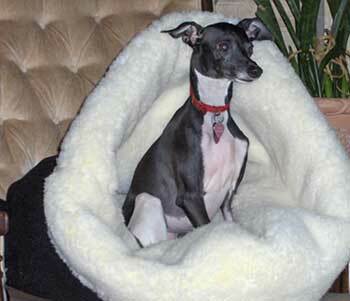 Order a Pita Bed on-line! Or order a gift certificate here. It's as cozy as it looks! "i received the burgundy pita bed today. i have to tell you that the quality is superb. i'm so impressed. again, i'm most pleased with the quality, beauty, weight of the new pita bed. 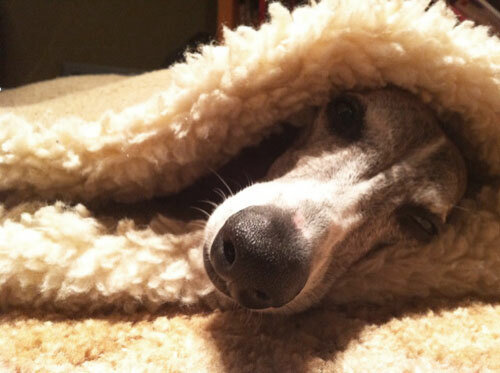 my whippet girl is nearly blind so i'm trying to keep her as comfy as i can. We craft both heavyweight winter dog jackets and lighter weight autumn, spring, and raincoats. 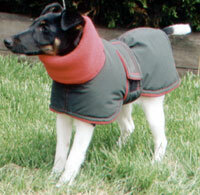 Coats are styled for sighthounds or other breeds. Our coats are durable and built to last a lifetime - hand-crafted with love in Wisconsin, USA.